Game 1: Atlanta at Cleveland, Monday, May 2 at 7 p.m.
Game 2: Atlanta at Cleveland, Wednesday, May 4 at 8 p.m.
Game 3: Cleveland at Atlanta, Friday, May 6 at 7 p.m.
Game 4: Cleveland at Atlanta, Sunday, May 8 at 3:30 p.m.
After a more than a week off, the Cavaliers begin the Eastern Conference Semi-Finals tonight against the Atlanta Hawks. The Cavs know the Hawks all too well as they swept Atlanta in last year’s Eastern Conference Finals and won all three regular season matchups this season. Cleveland has absolutely dominated the Hawks over the last year and this series could see more of the same. 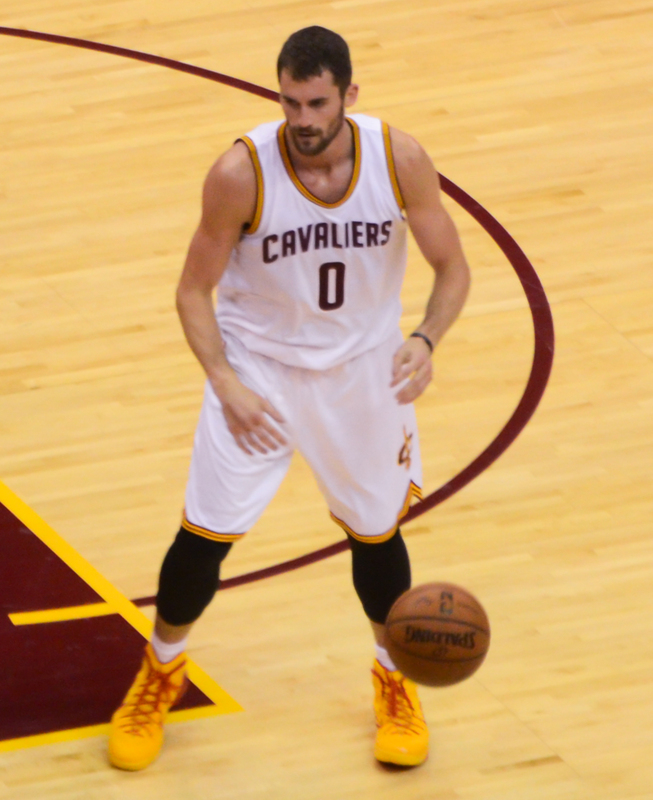 During last year’s conference finals, the Cavs were without Kevin Love and Kyrie Irving was out for the majority of the series with knee tendonitis. Both players are healthy and they looked great during Cleveland’s first round sweep of the Pistons. The Hawks are a very good defensive team holding opponents to a league-low 43% field-goal percentage. Atlanta is led by the front court duo of Paul Millsap and Al Horford. Millsap had an impressive first round averaging 16.3 points and 8.8 rebounds per game against the Boston Celtics. Atlanta has struggled offensively at times this season, but Millsap and Horford have kept them in games with their rebounding. The Cavs have rebounding machines of their own in Love and Tristan Thompson. Cleveland’s big men must create as many second chance opportunities as possible to keep pressure on the Hawks, which will ultimately led them to victory. The matchup to watch for in this series is between LeBron James and Kent Bazemore. Cavalier fans remember Bazemore for his comments after the Hawks went down two games to none in last year’s conference finals. He said, “I still think we’re the better team. We just haven’t shown it yet.” Cavs fans responded accordingly as Bazemore was booed during the next two games at The Q. 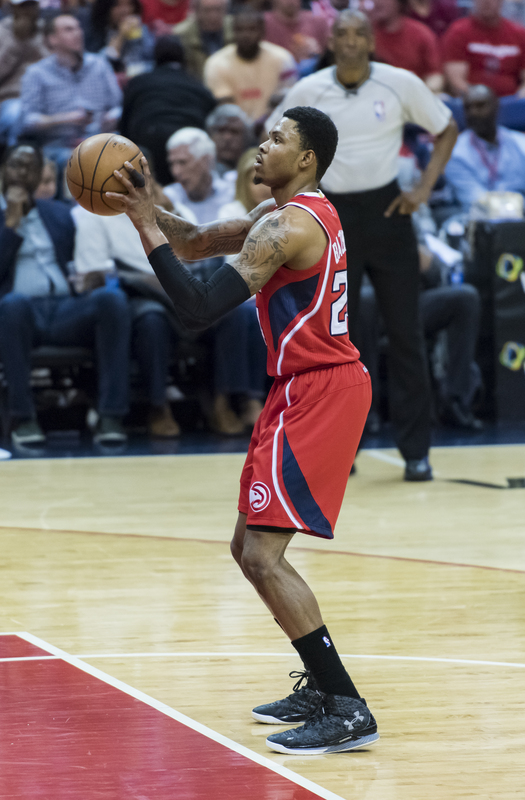 The Hawks will most likely throw Millsap and Thabo Sefolosha at LeBron during the series, but it will be Bazemore who will start off guarding King James. Bazemore and LeBron have a little bit of history as the young Hawks forward talked trash towards James on Twitter in 2012. One tweet read “LeBron is the equivalent to 7eleven, he doesn’t close.” Bazemore also shoved LeBron during game two of the conference finals. I think this will be a fun matchup to watch given Bazemore’s beef towards James. LeBron hasn’t responded to Bazemore and I doubt he will. King James is a man on a mission and it is pretty hard to get in his head, just ask Detroit’s Stanley Johnson. LeBron James is on track to make some more history during this series. He will tie former Cavaliers coach, Byron Scott for 14th place all-time in playoff games tonight with 183. LeBron needs just three more treys to pass Robert Horry for 8th place in postseason three-pointers. The Cavaliers are undefeated against the Hawks in the postseason. Cleveland swept Atlanta in the 2008-2009 Conference Semi-Finals and the 2014-2015 Eastern Conference Finals. The Cavs will win this series in 5 games. Cleveland is well rested and will continue their dominance of Atlanta, but the Hawks are due to win at least one game. The Cavaliers are clicking at the right time and their strong play will propel them to the Eastern Conference Finals for the second straight year.